William Reay of William & Mary's Virginia Institute of Marine Science was honored with the highest award given by the National Estuarine Research Reserve System (NERRS) and its non-profit arm during their annual meeting in early November. NERRS is a state-federal partnership established in 1972 through the Coastal Zone Management Act to protect and study estuarine systems. The 29 NERRS sites encompass more than 1.3 million acres along the nation’s coastline — from Chesapeake Bay to San Francisco Bay and from Florida to Alaska. The sites are managed on a daily basis by a state agency or university with input from local partners, with funding and national guidance from the National Oceanic and Atmospheric Administration (NOAA). 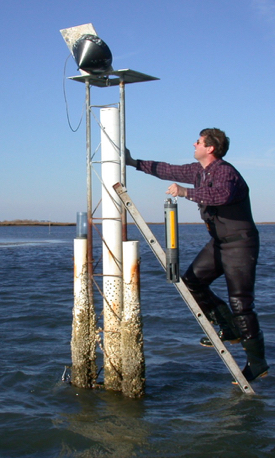 Reay directs the Chesapeake Bay National Estuarine Research Reserve in Virginia, or CBNERR, which is managed through VIMS. Designated in 1991, CBNERR manages four pristine sites along the salinity gradient of the York River, from Sweet Hall Marsh near the river’s freshwater confluence, past the brackish environs of Taskinas Creek and the Catlett Islands, and downstream to the saltwater marshes of the Goodwin Islands near the river’s mouth. Reay says, "I’m extremely honored to be recognized by my colleagues, whose hard work continues to focus on the well-being of our Nation’s coastal resources and communities. 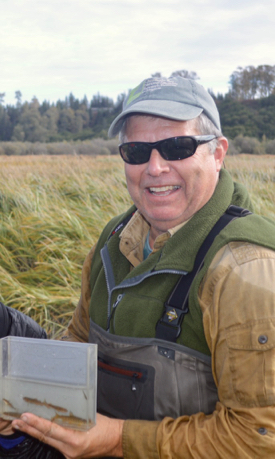 In light of the many complex challenges facing our estuaries, now more than ever we need to have impactful programs of targeted research, stewardship, and education — and NERRS is well-positioned to support these efforts." Reay has a long history of outstanding contributions to NERRS, including service as NERRA president from 2013 to 2015. A comment in Reay’s nomination package notes that his stint as NERRA president came at a difficult time, as “the national recession had caught up to the federal and state budget processes and the reserves were having a hard time with funding both at NOAA and with state partners.” Despite these challenges, Reay’s leadership helped NERRS add a new reserve, complete a Blue Ribbon Panel that positioned the system for strategic growth and explore opportunities to create new partnerships. 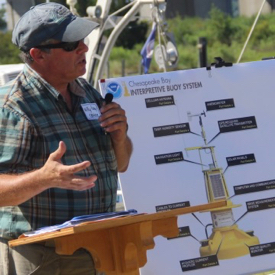 During his time as director of CBNERR, which began in 1997, Reay has significantly enhanced the program’s service and offerings, including expansion of the Virginia Estuarine and Coastal Ocean Observing System (VECOS), assistance with deployment and operation of NOAA's York River CBIBs buoy, inclusion in NOAA’s regional Sentinel Site Cooperatives network, growth of the Coastal Training and Teacher Training programs and establishment of CBNERR’s always popular Discovery Labs and summer camps. Previous honors include receipt of NOAA’s Environmental Hero Award (2005), the Coastal America Spirit Award (2004), the NERRA Distinguished Service Award (2003) and the Coastal America Partnership Award (2000). Previous recipients of the NERRS/NERRA Outstanding Contributions Award are Elizabeth Blair (2017), Cory Riley and Edward Buskey (2016), Ginger Hinchcliff (2015), Dwayne Porter (2014), Laurie McGilvray and Lee Edmiston (2013), Gary Lytton and Chris Feurt (2012), Paul Dest and Steve Rumrill (2011), Cathy Angell and Peter Wellenberger (2010), Kate Barba and Michael Kennish (2009), Michele Dionne (2008), Terry Stevens (2007) and Mike DeLuca (2006).